Gadgets have become primary devices in education to accelerate the processes of research and knowledge. Academic activities have changed over time and, undoubtedly, education has had an important evolution in the hand of technology. Currently, at all school levels, various tools are used to bring children, adolescents and adults closer to education in a more interactive way with didactic and intuitive digital platforms and therefore, easy to use. The technological age that we are living today allows new generations to take full advantage of learning processes and teachers to increase the efficiency of teaching; however, it is important that each student has a technological device according to their age and academic level. This is how research activities, the creation of multimedia content, submission of papers, collaborative tasks, international consultations in digital libraries, participation in forums and attendance to virtual classes, have become forms that integrate the entire educational process of today. . Therefore, it is necessary that each level of study has the appropriate technological device to fully meet the burden demanded by each academic environment, the expert shares. 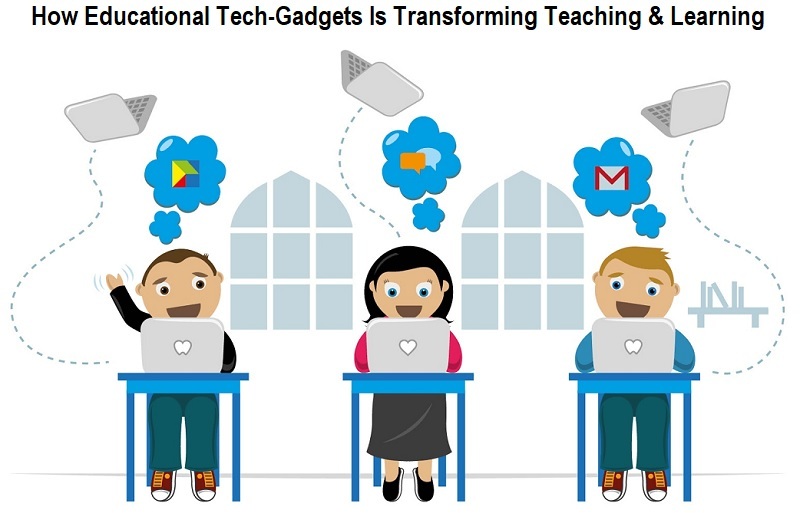 New technologies, such as desktop computers, laptops, smartphones and tablets, have opened up their way by leaps and bounds and have become the preference of teachers and students in various institutions, due to their relatively low acquisition cost in some seasons of the year, in addition to having more and more coverage and practicality of use when transporting them from one place to another, being products easily accessible when surfing the Internet to investigate instantly. The tablets have become the most requested one by many students. The mobility they provide, coupled with their processing capacity, facilitates the development of school activities. These devices introduce them to the world of technology, promote their playful thinking and open the door to a universe of new experiences, thus developing their cognitive abilities. The expert states that the cell phone turns students into co-participants in the construction of educational or playful content, apart from the fact that learning can occur anywhere. Through email or access to internet portals, students can download any support material for training and education. There is also a wide variety of applications (APPS) that can be used in smartphones, such as DocsAnywhere, Evernote, Teacher Aide Lite, among others, that have educational purposes or support for teaching for various platforms, whether iOS, Android, Blackberry or Windows Phone. The devices "All in One" are incredible because of the large screen format that allows students to live different experiences when it comes to presentations and group projects, without neglecting the excellent level of processing, like the one that a computer can offer. These devices simplify an entire system into a single powerful and elegant device with the ability to create, transmit and share HD content. University students, for example, need much more power and speed in their applications and require more complete and modern equipment. The university students also need higher capacity equipment to work with different programs, computers with fifth-generation technology are the most successful option because they offer high performance and efficiency in the consumption of energy. With a good processor they can use specialized software for presentations, video conferences or group work, all at the same time without affecting productivity. The objective of the pedagogical tablet strategy is to contribute to the improvement of educational quality, through learning practices that develop skills with the appropriation of mobile devices, teacher training, content and digital applications. To learn more about the latest futuristic gadgets, you can check out following Infographic developed by Noflufftech.